Would you like to be treated as if you were royalty for a day? How about visiting the Disney theme parks as seamlessly as possible with maximum enjoyment and very little fuss? Is riding your favorite theme park attraction over and over again with little wait in line one of your fantasies? Then you should consider a personalized and private Disney VIP Tour with a completely customized experience and array of personalized perks for you and up to nine others. Just tell your personal VIP Tour Guide what you’d like to see, and they’ll customize your day to your desire! You’ll have flexibility of start time which on multiple days can be decided at the end of the day prior, the option of visiting one or all four theme parks in one day if desired, expedited entry to Disney’s FASTPASS® Service attractions, and VIP seating for parades, select shows, and nighttime spectaculars. Pricing varies between $425 and $625 per hour, depending on the season, (valid admission is required for each park and not included in the price of this tour) and there is a minimum duration of 7 continuous hours. 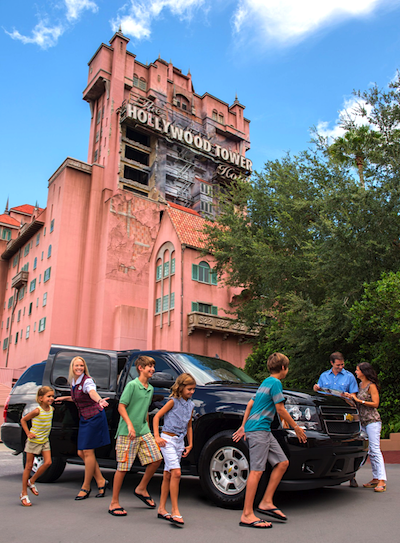 At Walt Disney World Resort included is private door-to-door transportation with back-door theme park entrance. Of course, meeting at a park is always an option, perfect for those days when you have an early breakfast and don’t want to pay for the guide while you dine. Our expert Glass Slipper Concierge® travel advisors’ unrivaled knowledge of Disney Destinations can only be matched by their passion for delivering white-glove service. We’re committed to personalizing a completely unique, luxury Disney vacation experience that surpasses every Let Us Help You in Planning an Extraordinary Luxury Disney Vacation! The expert travel advisors at Glass Slipper Concierge® will work with you to create the perfectly planned Disney trip of a lifetime, making sure nothing is left to chance. Please submit an online consultation request to begin. expectation for each of our clients. Please submit an online consultation request to begin.